At Integrated Dermatology, microneedling is considered the next step up from our chemical peels. If you are looking for an even skin tone, scar treatment, or an overall better complexion, microneedling may be the right treatment for you. A cosmetic consult with one of our providers is required, as there are some patients who may not be the best candidates for this process. Younger-looking skin with fewer signs of aging. Creates a fresher appearance or glow to the skin. Why should I choose Integrated Dermatology for my Microneedling treatment? At Integrated Dermatology, our board-certified physician assistants perform the microneedling treatment. Each provider has been thoroughly trained with the Eclipse MicroPen and has even done treatment on current staff members. Our cost not only includes the price of the product, but more importantly, the skill and expertise of the physician who is administering your treatment. A single, platelet-rich plasma microneedling session starts out at $875 and we provide packages for extra savings. Microneedling is a technique-sensitive treatment — You need someone who is trained and has experience treating patients with microneedling. It is more important to find an experienced provider who will take the time to understand your treatment goals and develop a treatment plan that is right for you. What are the benefits of the Eclipse MicroPen? Faster is Better. MicroPen’s high-speed motor allows for a more efficient yet timely procedure. The rapid pen motion provides a more comfortable experience. Customized for You. 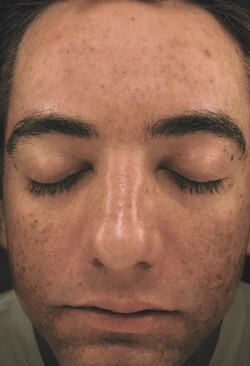 Each patient has unique skin needs and requirements. The variable pen position feature allows MicroPen® professionals to customize a treatment for the best clinical results. Automated micro-needling is an innovation in aesthetics for the treatment of the appearance of fine lines, acne scars, and the skin’s texture, tone, and color. The skin’s repair process results in improvement of the appearance of softer wrinkles. Eclipse MicroPen® is the most advanced medical-grade automated micro-needling device on the market. How Is MicroPen® Different from Dermal Needling Rollers? Automated micro-needling devices move in a vertical direction for better precision when treating the skin. Unlike Automated Micro-needling, the roller does not create a precise vertical action. The lack of precision can contribute to greater discomfort and inconsistent effects to the skin. A sterile cartridge containing 12 tiny micro-points is attached to the Eclipse MicroPen®. Your skincare professional will apply a thin layer of saline solution to your skin and select the appropriate treatment setting based on your unique needs. Next, in a single motion, the pen will be gently pressed against the skin while simultaneously gliding until the entire treatment area has been covered. Eclipse MicroPen® can be used on all parts of the body, including the face, neck, décolleté, arms, hands, legs, abdomen, and back. The feeling associated with the Eclipse MicroPen® is similar to light sandpaper being moved across the skin. While some areas are more sensitive than others, the speed of the reciprocating tip reduces discomfort while the applied hydrating gel also makes the treatment more tolerable. Immediately after the treatment you will notice a bright redness to the skin. The total healing time depends on the Eclipse MicroPen® setting used and the number of overlapping passes your skincare professional performs. On average, patients are red up to 2 to 4 days. Many patients heal completely in as little as 24 hours. Utilizing SkinMedica skincare products, provided by your skincare provider, can help to speed up the healing process. Some patients only require a single treatment once per year to achieve optimal results. However, it is recommended for most patients to receive a series of 2 to 3 treatments, spaced about 6 to 8 weeks apart. For patients with deep wrinkles, advanced photo-aging, stretch marks, or acne scars, it is recommended to receive 6 to 8 sessions at 6 week intervals. Treatments start at $875.